With so much emphasis, the past few days, on getting the best deals …it's important to stop and think today of those less fortunate in our community. At a time when we should all be thankful, Giving Tuesday gives everyone time to pause and think about what's most important at the holiday season. So how will you give today? Help out at an Animal shelter. Find a neighbor who can use some extra help. Volunteer at a soup kitchen or shelter. Donate clothes or toys from your home. Donate to your favorite charity. 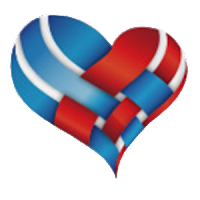 Make care packages for senior center, homeless shelter, battered women shelter or animal shelter. Buy a Star Dog T-shirt: For every t-shirt we sell we give one to a child in need. It doesn't matter what you give, it can be time, money or even a smile - just give today. Think about what matters most to you and reach out, The thrill of giving lasts a lifetime. Do you have another giving suggestion? Would love to hear them in the comments below. Supporting important causes can be easy to forget around the hustle and bustle of holiday season. Star Dog Enterprises provides a simple way to give back during the holidays with their buy one give one business model. Purchasing a Star Dog Tee is an easy way to spread cheer with others and an easy way to help those in need - Star Dog does the donating for you! You are not only buying a great looking comfortable Tee, you also get the opportunity to share that you contributed to a fabulous cause that is making a difference in the lives of children. Every time your special someone wears their Star Dog T-shirt, they’ll be reminded that YOU made a difference! Give a gift that gives back. There’s nothing more satisfying than to shop for your loved ones and help out a good cause at the same time… It’s something that truly benefits everyone involved. Star Dog is more than just another T-shirt Company! 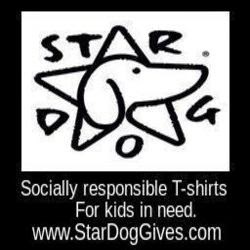 Every time you buy a Star Dog t-shirt, Star Dog Gives a t-shirt to a child in need. We build confidence in young people by providing low income and homeless children with new t-shirts that make them feel good about themselves. We are committed to inspiring and empowering children. 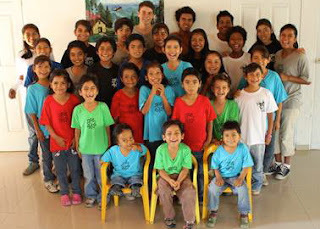 Every t-shirt we sell provides a child with a greater chance to succeed socially and academically. Buy a shirt and wear it proudly! Together we can make a difference.